A sweet celebration designed around a gorgeous colour palette of blue, latte and white. 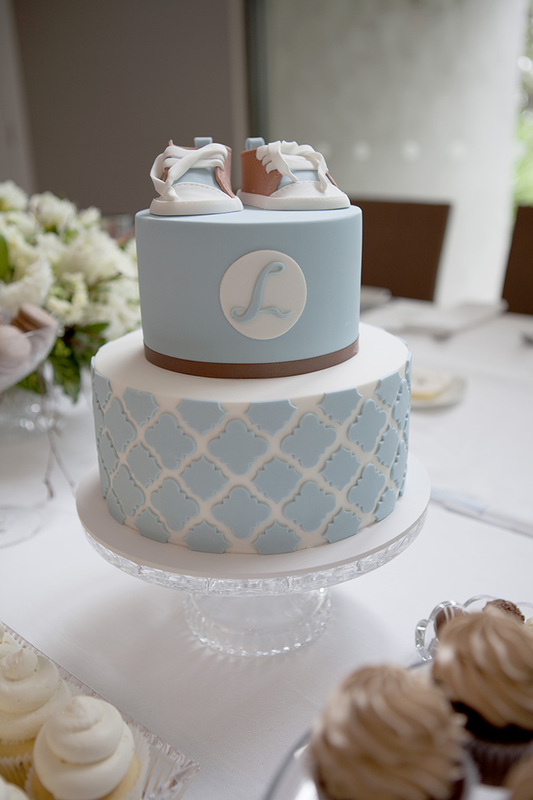 A hand cut quatrefoil pattern features around the bottom tier and a hand made pair of sugar converse sneakers adorn the top of the cake. The world is mad for art deco decadence and glamour at the moment with the release of The Great Gatsby. I had the pleasure of creating this cake for Little Sooti who was exhbiting her beautiful styling at the Melbourne Bride Wedding Expo this weekend. Art deco inspired.. rich emerald green with gold and sparkling black sugar jewels. Opulent, decadent and very Gatsby. 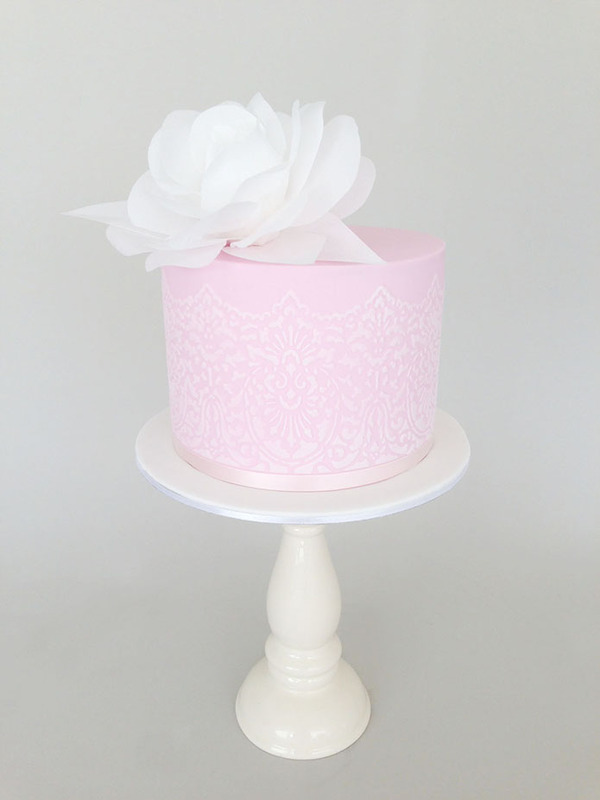 A sweet little birthday cake featuring stencilled lace and a delicate rice paper rose.